We are lucky, the article is short enough and simple to be divided into the three tiny parts. (1) Introduction, Shri-Yantra and so on, male-female principles, blah-blah-blah. (2) Construction of Sri Yantra (Rus: Postroienie Shri-Yantry), and here we go: there are 4 equations of the 16th power. (3) Example of building (Rus: Primer postroeniya) with a childish internet-faceless interpretation which will lead you nowhere to waste your time (not mine). 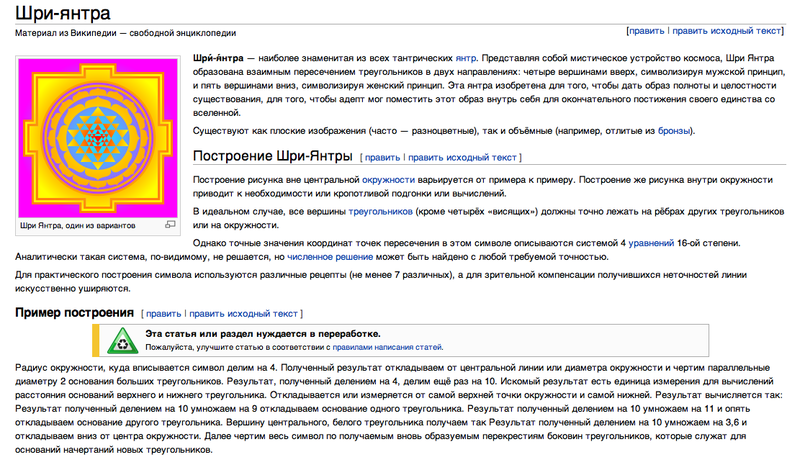 The most sensible part in Russian wiki page is a remark of 4 equations of the 16th power. Yes, it goes from the article written by A. Kulaichev: Sriyantra and Its Mathematical Properties: Indian Journal of History of Science, 19 (3): p.279-292 (1984) and this work I have mentioned some times in biblio in my previous blogs. If you are still interested in my general and kind opinion: mathematical methods used by A. Kulaichev didn’t exist in the time of Sri Yantra was born, the author understands it as well as we are, and what Alexander Kulaichev doesn’t understand at all (and his followers in the Russian Federation) is HOW MORE DIFFICULT STAR POLYGONS were born from the same ancient algorithm indigenous to Sri Yantra we all love so much. Why people cannot just put a simple word ‘master’ after ‘Sri Yantra’ and google it. Yes, ! 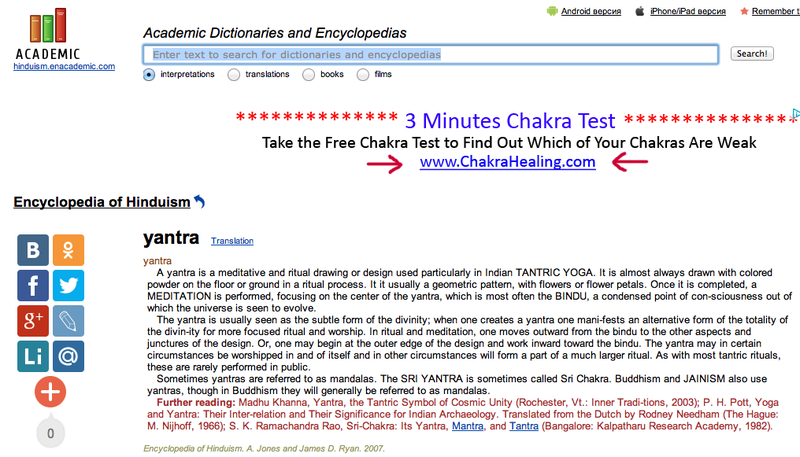 @#$% computers cannot solve the mathematical mystery of Sri Yantra but they can be that as it may to google what we need, right? Let me show you what the real mathematics is. Mathematics exists everywhere and every second and writing on Sri Yantra preferably to be simple, short, and specific (3S–dimension), and I cannot say it about Russian wiki Sri Yantra page.